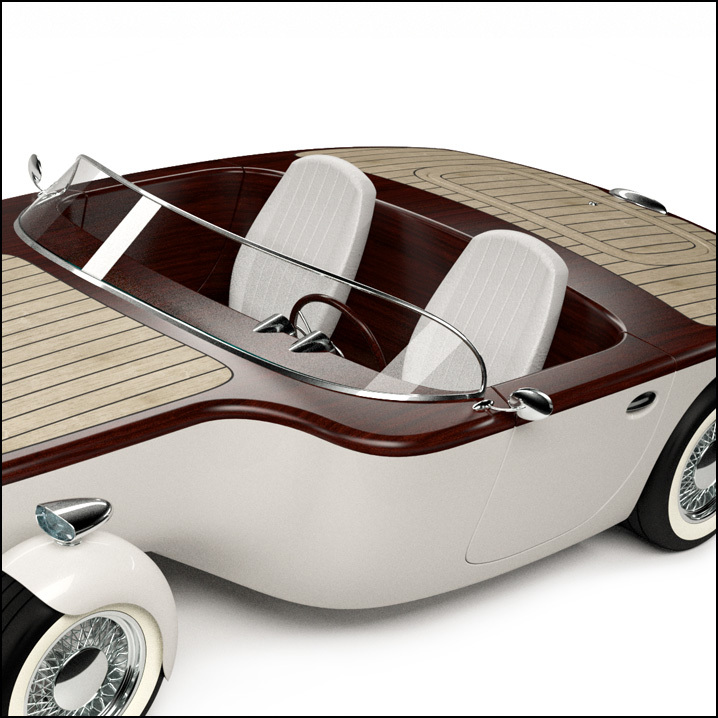 BAMBOO UTILITY VEHICLE - This project is an exercise to see what it means to be really sustainable. 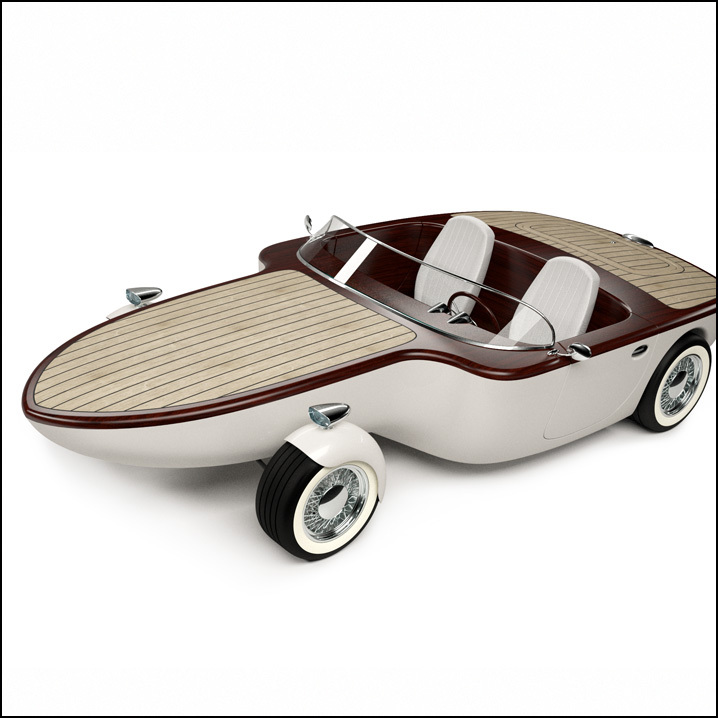 It resulted in a farming utility vehicle (platform) for the poorest in the third world. The vehicle is powered by biodiesel sourced from switchgrass and constructed from bamboo; two perennial crops grown at a new type of permaculture farm. It channels traditional craftsmanship knowledge of the elders and also provides a mobile shelter from the sun. 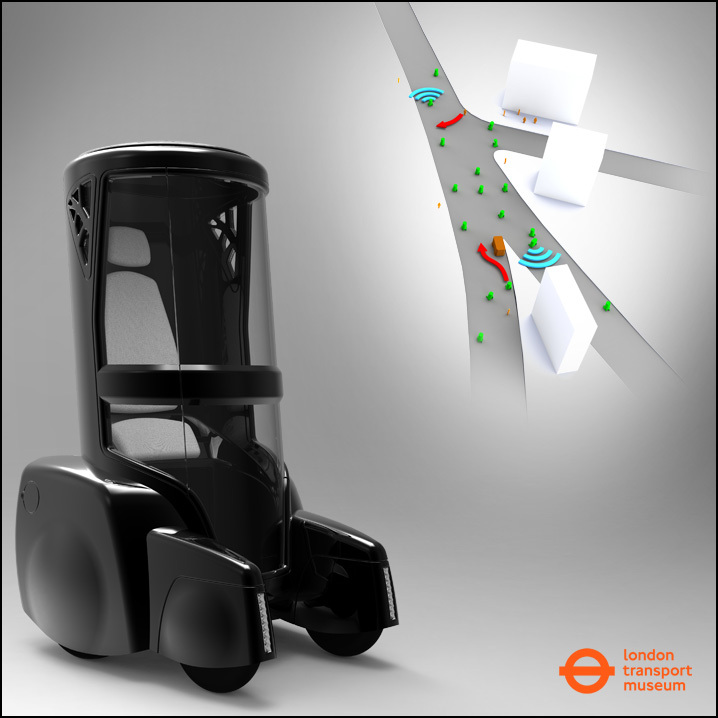 URBAN FLOW(ER) - Imagine getting rid of all traffic lights, lanes and zebra crossings, yet as a pedestrian be able to cross the street anywhere you want. 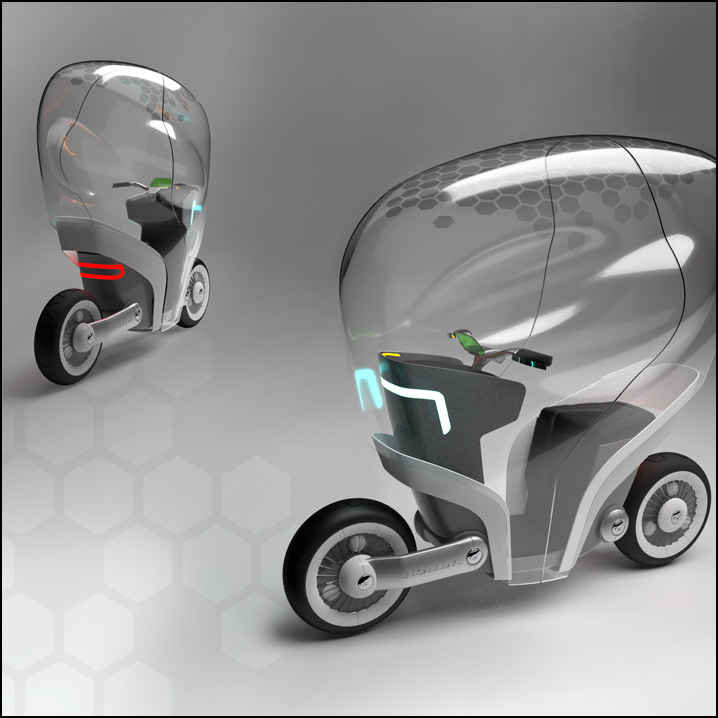 To get that to work, a new type of car is needed, and this project answers that call by creating a short-distance, single-seat, public yet personal mode of transport, in which you travel leaning back amongst constantly communicating vehicles that behave just as people on a crowded sidewalk. 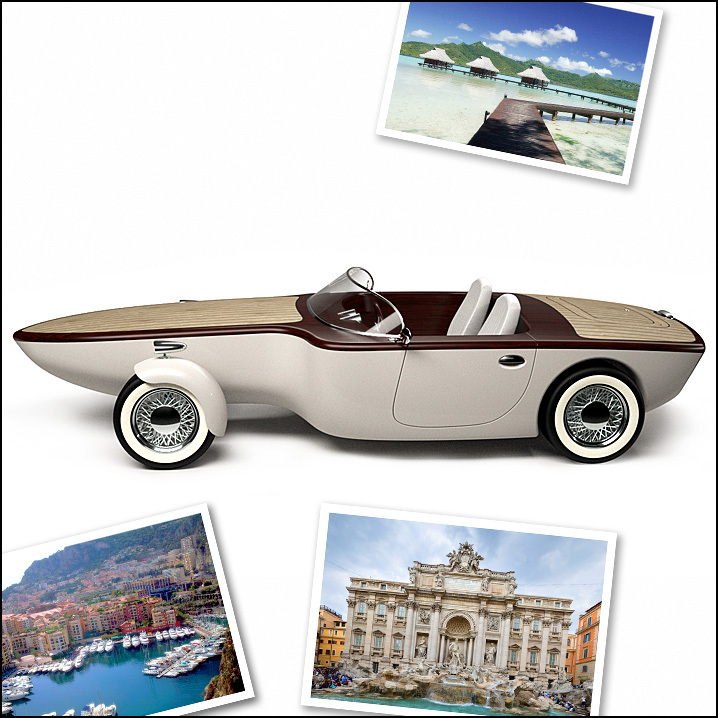 GYRO² - Styling can only get you so far. This project tried to answer a challenge on how to get bikes to appeal to a mass audience by directly targeting those who don't find them practical. 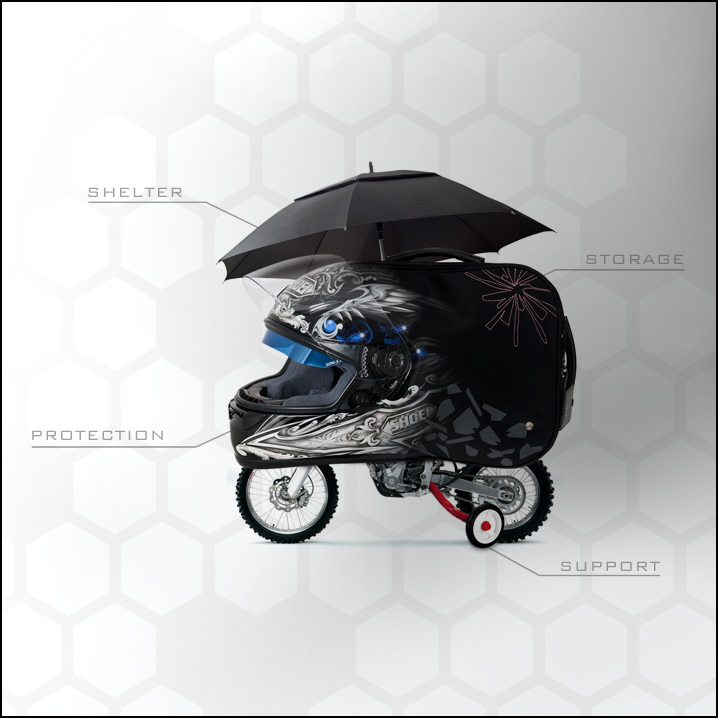 This city scooter provides shelter from wind and rain, added protection and storage. 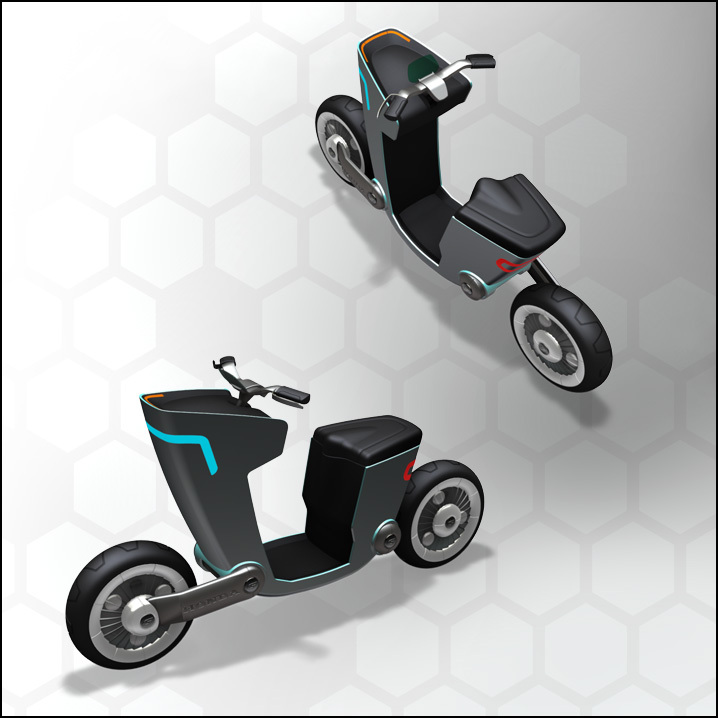 Steering in both front and rear, and two different gyro technologies makes it stable and easy to ride. 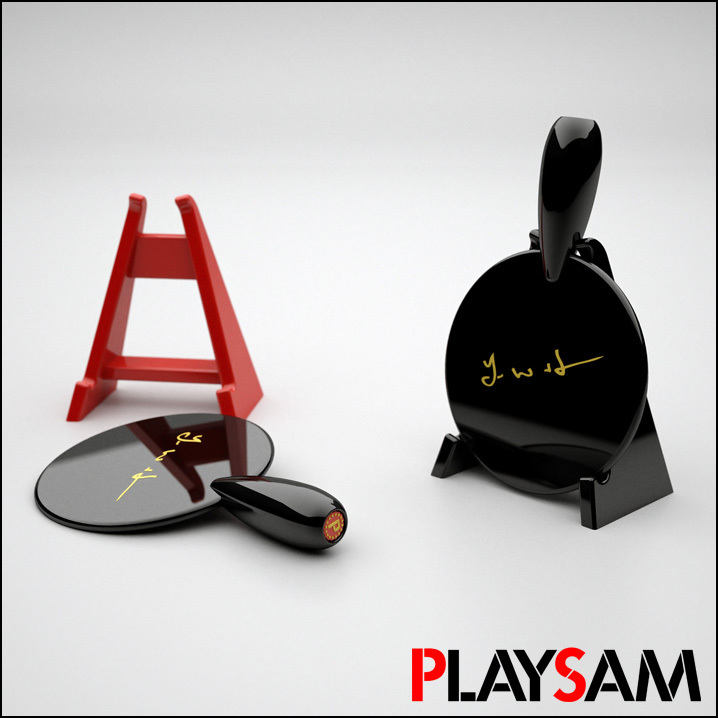 LEGEND OF LAO WA - Made in the spirit of the design language of the Playsam brand, this decorative gift attempts to transform a table tennis racket into a beautiful work of art. 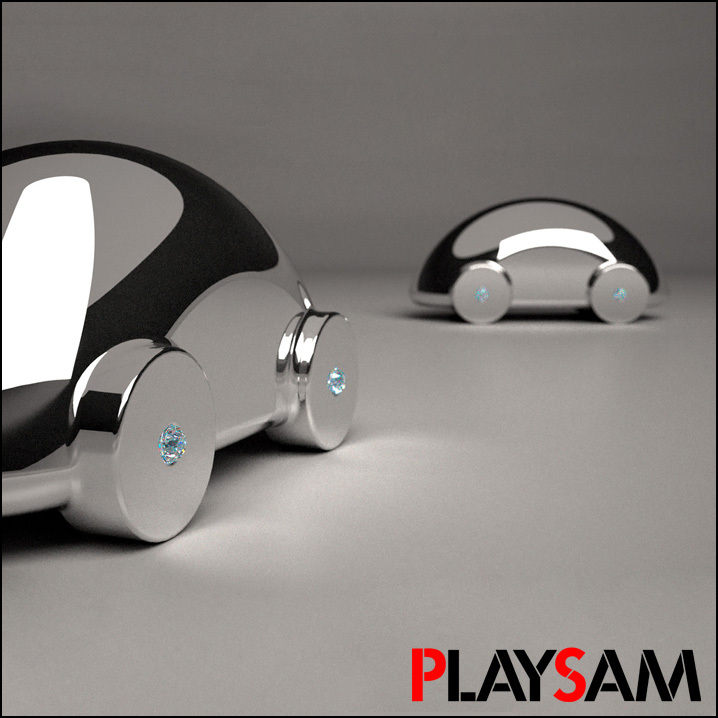 Staying true to the manufacturing tradition of the sport itself, the artefact is made from solid wood, and finished with a high gloss layer of paint as per the Playsam tradition. SILVERLINER - A homage to the beautiful Streamliner design by Ulf Hanses, here executed in silver and gemstones, as an attempt to revive the classic tradition of giving silver to babies as a christening gift. The toy has been transformed into a piggy bank with space for a personalized inscription on the side. 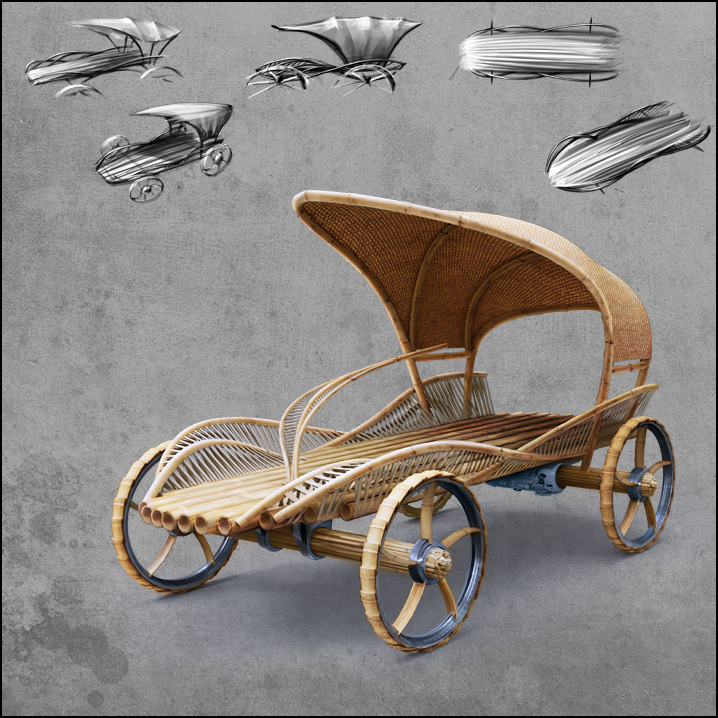 SUN CRUISER - Inspired by a golden age, this chariot is waiting for another golden age yet to come, with efficient electical engines and non-rainforest timber. 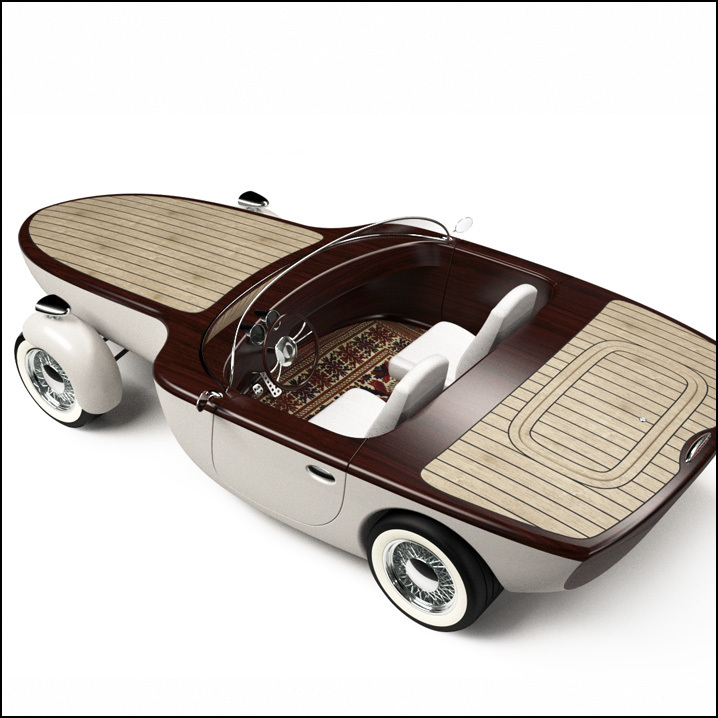 Perfect for a day at the beach, with its own genuine sun deck at both the front and rear of the car. The true enthusiast may sand and varnish the wood themselves or perhaps create their own custom name plate for the stern. EQUALIZER WATCH - Born from a workshop in class, this was originaly a simple exercise in re-designing the face of a watch. For me, however, it became a re-design of the way we read time. 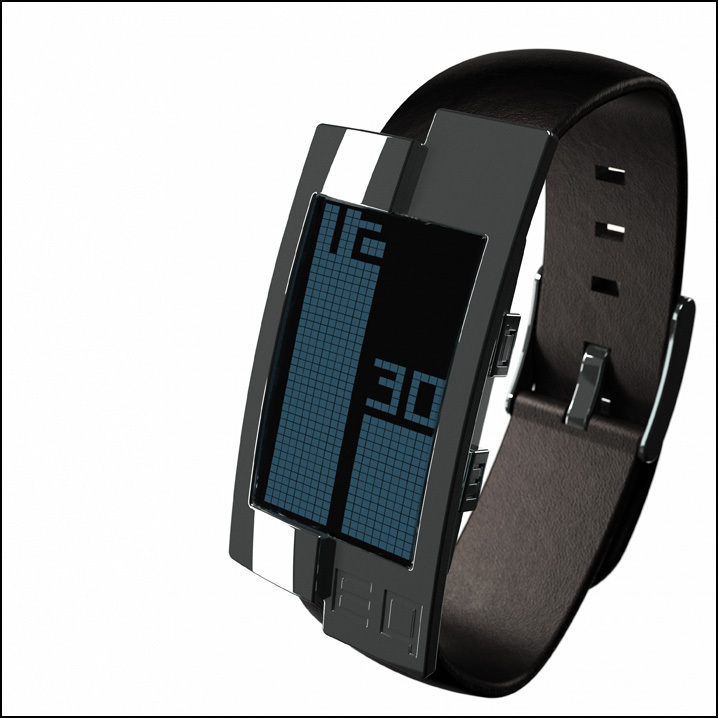 Using two vertical bars to display the progress of time, it enables at a glance reading of relative time remaining of the day or of the hour, even on a digital watch. 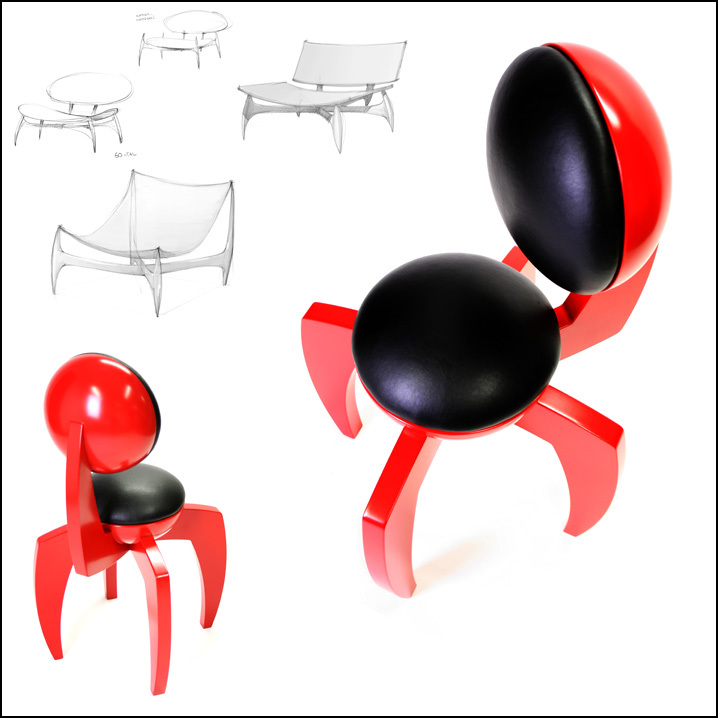 FUNK/MONSTER - A sculptural chair made of solid wood and put together from only two different parts, it channels the Swedish furniture design spirit with its minimalistic construction and material, while going in exactly the opposite direction with its aggressive and organic look. 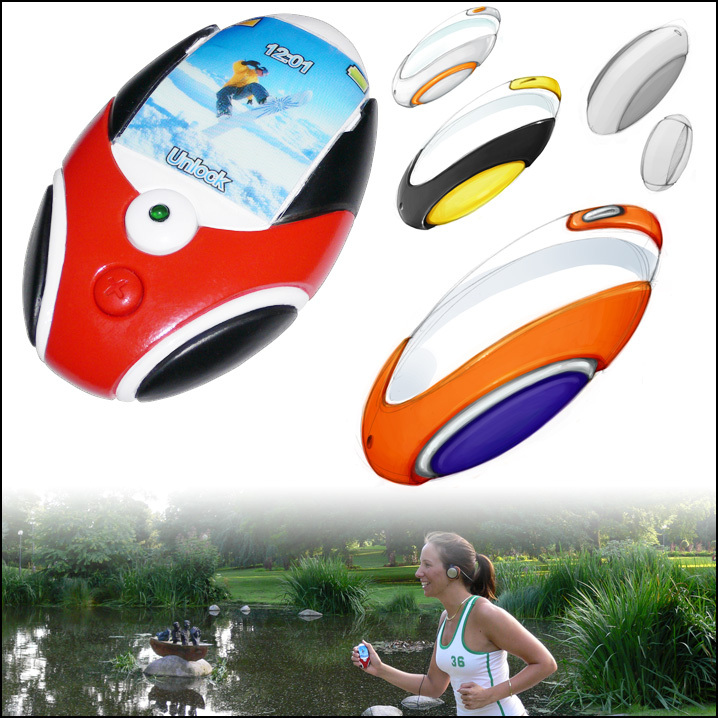 JOGGING PHONE - A cellphone designed for runners, with a shape made for squeezing it to relieve stitches. It has grip friendly rubber material on its side, and no production technical separation lines to get a completely smooth feeling. The entire case snaps together in one-piece molded parts. 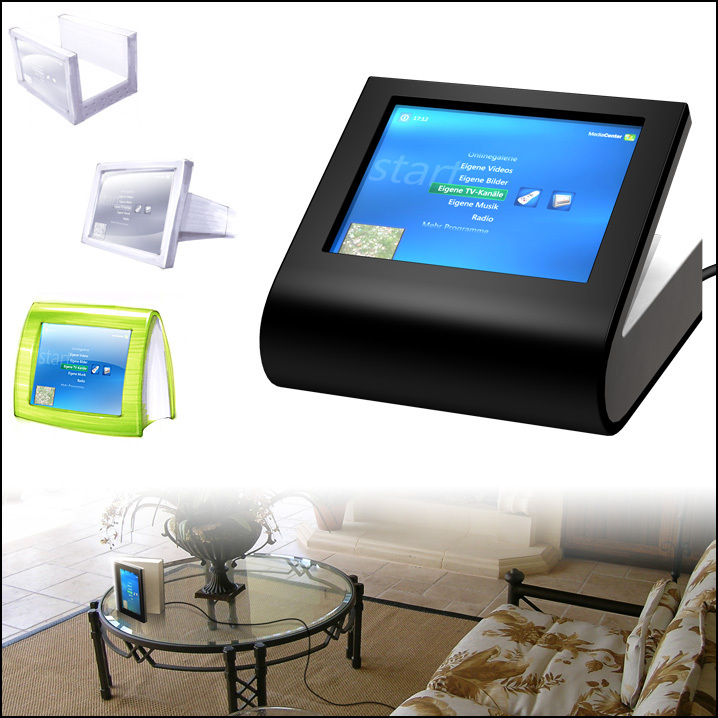 HOUSE PC - A home information and control device made to be moveable, but not portable. The idea was to make "a kitchen appliance for the living room". The goal was to create benign device, requiring only a basic power cord to be hooked up, and so the book archetype was used. Depending on how you place it you can get three different angles on the display. 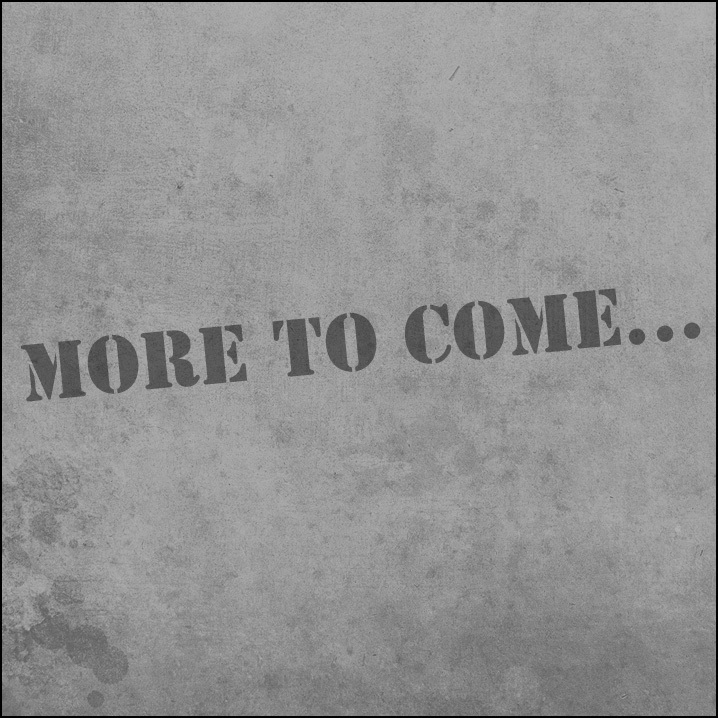 If you steal any of these designs, please drop me a note, will you?